Here at LoadRite, we do everything we can to build the absolute best car haulers out there. We make them from galvanized steel so that they’ll hold up and build them solid so that they can haul up to a 7400 pound load (3300 kg). So, who are the customers looking for these car haulers? Antique car: If you have a collectible car, you’re probably trying to keep the mileage down, and you certainly don’t want to risk a rock flying up and hitting its windshield or paint job when you’re taking it to a show. That’s where our car haulers come in. Put it on the hauler with ease, cover it up, and have no worries as you’re heading down the road. Constant Moving: Some of our car hauler customer just move around a lot. Maybe they’re in the military, maybe they simply don’t like to stay in one place for long. 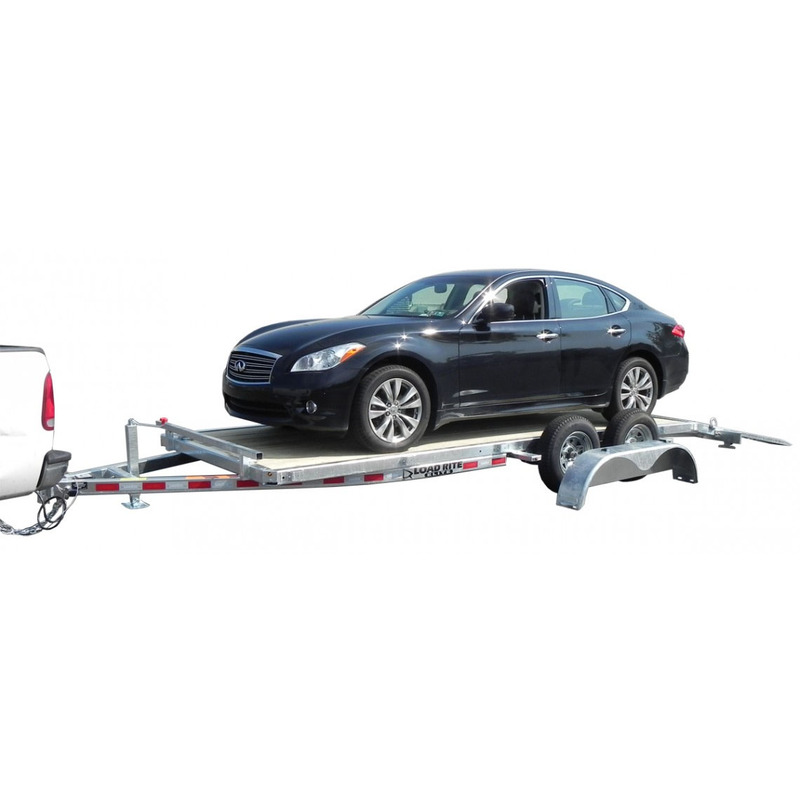 No matter the reason, buying a LoadRite car hauler can certainly beat having to pay the high prices every time you move from city to city and want to haul your car behind the moving truck. Getting Out Of Problems: Whether your friend is prone to accidents or your car is constantly breaking down at the side of road, a car hauler can prevent you from needing to call a tow truck every time something happens when you need to get a car back to your garage or to the mechanic. No matter what the reasons you need a car hauler, you can get the best right here at LoadRite and never look back. Check out the specs right here!